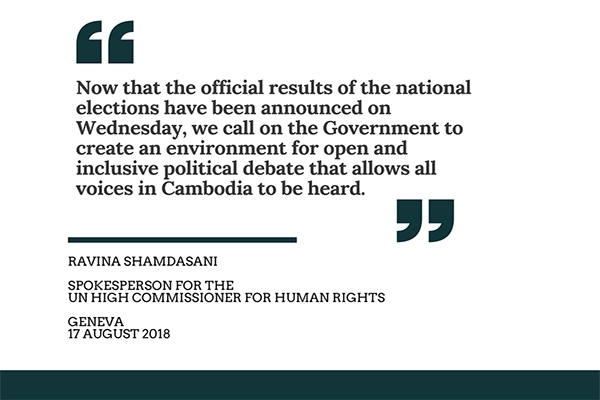 GENEVA (17 August 2018) – The Spokesperson for the UN High Commissioner for Human Rights expressed concerns about the human rights environment around the elections that were recently held in Cambodia without the dissolved main opposition party, the Cambodia National Rescue Party (CNRP). This left a significant proportion of the population without chosen representation, causing concern for their rights to political participation. Read the full briefing note in English and in Khmer.